I not only have a child, apparently I was once a child myself, but I’ve never heard of A Wrinkle In Time despite it apparently being a “hugely popular” children’s book. It’s directed by Ava DuVernay and its big stars are Oprah Winfrey and Reese Witherspoon, and follows a young girl (Storm Reid) who goes off on an intergalactic quest to find her missing father. Despite the apparent popularity of the book, the film looks like it’s going to be quite a turkey given its vast budget, with reviews not being at all kind. Jonny Greenwood was attached to the project earlier on but with great fanfare, director DuVernay eventually announced Ramin Djawadi as the composer, with quotes suggesting she thought he was the second coming of Beethoven raising a few chuckles in film music circles. Now I don’t want to be cruel, but if you start off thinking Jonny Greenwood is the right composer for your film and then change your mind and decide Ramin Djawadi is the right composer instead, then it suggests you either have a fundamental change of heart as to what you want the music to do, or you just don’t really know much about film music. Djawadi’s score is like a child’s version of Avatar. I don’t mean it sounds like the music for a children’s version of the film Avatar, I mean it’s what the score for Avatar might sound like had it been written by a child. Now, I gave a very positive review of a recent compilation album of music from Game of Thrones – an hour of excellent music. An hour of excellent music from a show that has run for 67 episodes. He was hired for this film on the strength of that music, but his score doesn’t really sound much like it so don’t expect it to. It also doesn’t sound much like his better film scores (well, Pacific Rim) – perhaps there’s more in common with the more tuneful scores he wrote for animations earlier in his career. 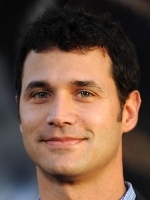 Djawadi is clearly a very limited composer so nobody would have expected him to write a score that fulfils the sort of scope a fantasy adventure like A Wrinkle In Time could obviously sustain – his career to date shows that he doesn’t have that sort of thing in him. Instead, it’s a reasonably pleasant affair with occasional unfulfilled-ambition which offers a handful of highlights amongst rather dull easy listening fluff. The score begins with the predominantly electronic pop sounds of the main title piece – a simple little melody with synth and real strings doubling a small-sounding choir. It’s a plinky-plonky piece – if your child came home from school and played it to you having written it during a music lesson you’d certainly smile and think it was quite charming. But then in the second cue, “Mrs Whatsit, Mrs Who and Mrs Which” the composer starts trying to be James Horner, with ethereal sounds, female vocalist and attempts at a soaring melody. It’s not bad by any means – it’s the album’s best track in fact – but Ramin Djawadi is resolutely not James Horner and it just doesn’t have the grace or elegance that he’s aiming for. Credit to him though for at least trying to give a larger scope. After that it’s a real mixed bag. The twinkly piano music is probably designed to make you go “ooh” and “aah” and perhaps you will, if you’re that way inclined. What it really needs though is a memorable tune to go with it – it never gets one. The score is at its best when Djawadi plays to his strengths as a composer, which is when he writes electronic music for electronics rather than writing electronic music and getting people to transcribe it for orchestra (he even employs John Williams’s orchestrators on this one, but don’t take that as a promising sign). “Touch the Stars” is genuinely excellent – a bit Vangelis-like, perhaps, it is very beautiful. We get to see both the good and the bad in some of the action music – “Camazotz” goes for an epic sweep and at times gets there but it’s so simplistic. Later “Be a Warrior” does much the same – its central concept isn’t bad but it’s got that typical, cheap Remote Control “orchestra that sounds like samples” sound. ﻿﻿﻿﻿﻿ Sometimes there’s nothing wrong with simplistic and there’ve been many great film scores which are exactly that – A Wrinkle In Time‘s problem is that it actually aims higher than that and just fails to get there. Most of the score goes in one ear and out the other without leaving an impression – there just isn’t enough going on and this isn’t compensated for by having either great tunes, or some imaginative musical architecture. It’s a complex process which has led from us in the 1990s hearing music like this in greetings cards commercials to in the 2010s hearing it in $100m blockbuster fantasy films. I’m sure some people will like it a lot more than I do – it’s all perfectly inoffensive and tuneful – there just isn’t enough meat on the bone for me. Jonny Greenwood was never attached to score this, just an unfounded IMDb/Wikipedia internet rumor. I just watched the film. Look, I’m no Djawadi hater, in fact I think his scores for the HBO series Westworld and Game of Thrones are genuinely excellent. I know that director Ava DuVernay hired Djawadi based on his work on GoT, but her movie, on the hands of the right composer, could have inspired some truly excellent material. So, I can’t help but wonder what James Newton Howard or Thomas Newman could do with this same movie. Maybe it could’ve been another A Series of Unfortunate Events. James summed this score up succinctly, Tiago, by stating that DJAWADI can only aspire to what JAMES HORNER would have composed. If ever a film needed superior music, it’s this Cosmic Fairytale, starring a corsetted, gigantic-sized Oprah Winfrey as a fairy godmother with blonde wig and neon-illumined glitter makeup. She warns the dreary teens that our solar system and Earth is about to be overwhelmed by a massive field of pure galactic evil, and its their destiny to save our planet. Lots of metaphysical trueisms to fortify our young heroes as they travel, via wormholes, to an alien world to do battle. It`s inconceivable that DJAWADI couldn’t provide fantasy themes of heroism and beauty and emotion that this movie demanded–he’s able to provide these elements for Game of Thrones. I agree, Taigo, NEWTON HOWARD or NEWMAN should have rather been contracted.